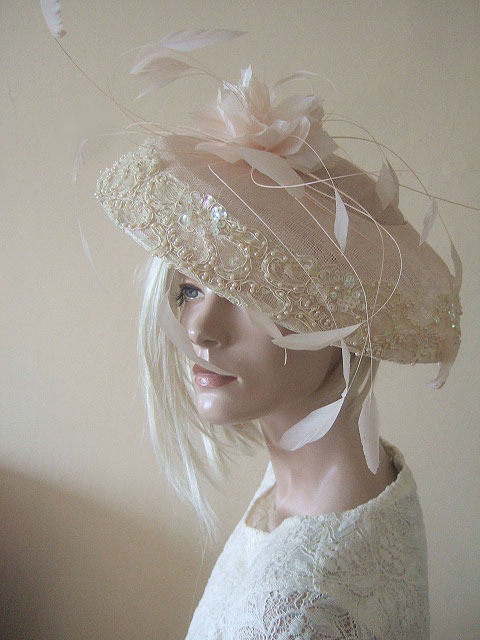 Stunning Laced Flying Saucer Hat from Nigel Rayment, in a pale shell colour Dressed with a Feather Flower Stripped Coque and Pearled Lace. Attached on a large skull base, with elastic that wraps under your hair. Saucer Base Measures 12.25" Diameter. Arrangement Measures approx 7" High.